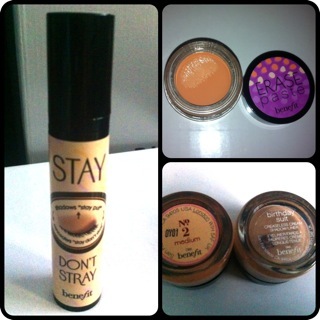 Benefit Cosmetics' Stay Don't Stray Eyeshadow & Concealer Primer | Vanity and Everything in Between. 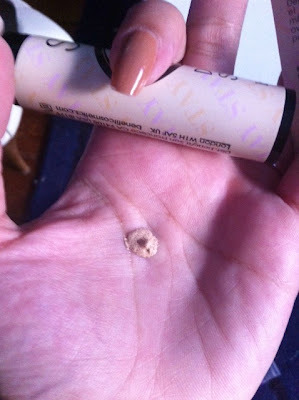 Who would have thought that concealer has a primer too? If you think about it, a concealer is comparable to an eyeshadow. It can be cream, powder, etc. If eyeshadows have a primer, then it would also be fitting that concealers have primers, too. Honestly speaking though, this is the first time I have ever heard of a concealer primer. Or at least that's what I remember. That's why when I saw this "set" (if you can call it that), I immediately bought it. The set comes with the primer, Erase Paste, and the 2011 Best Beige eyeshadow for 2011 as per Allure Magazine.. Cream Eyeshadow in Birthday Suit. 3 items sold together for USD26. Spray a small amount. This amount goes a long way. Primer blended around my eyes. Erase Paste dotted on my chin. I deeply appreciate the intent of Stay Don't Stray Primer. However, I kind of find it difficult to apply. 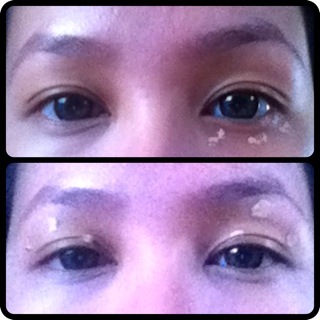 You have to be extra careful in applying it cos if you apply too much, it will appear too white around your eyes. It takes awhile to get used to it. I'm liking the Erase Paste concealer. 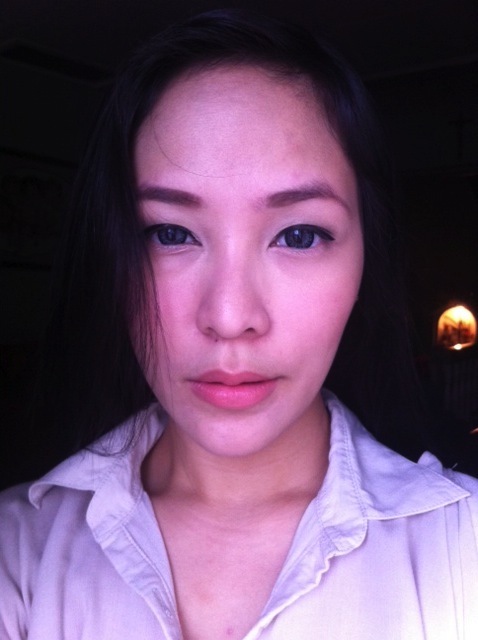 This salmon concealer makes my eyes brighter than my MAC NC30 concealer. 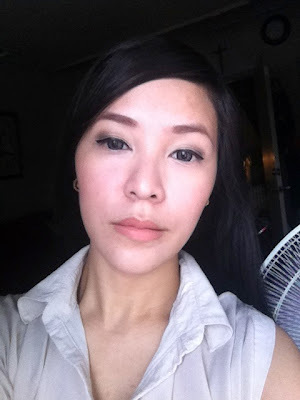 As for the Birthday Suit cream eyeshadow, I also like the color but it's kind of reminiscent of Stila's Kitten eyeshadow. 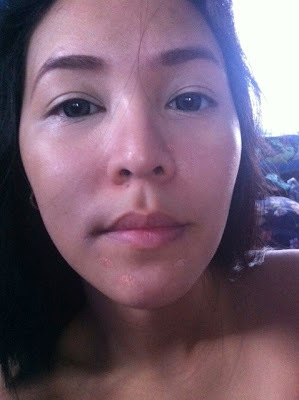 Overall, I don't mind buying the primer and concealer once I finish them. 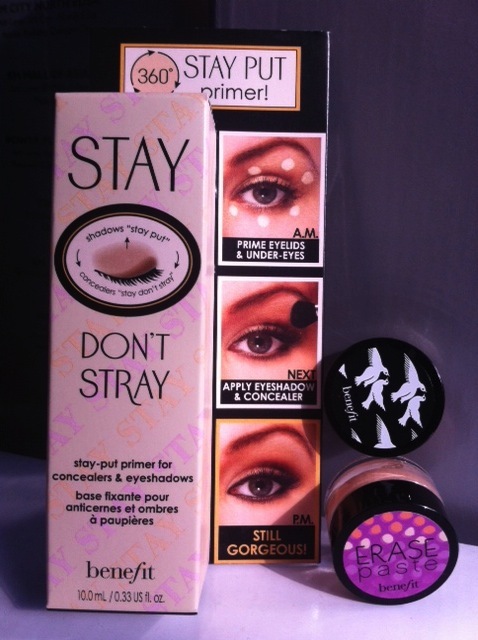 I believe these products will be available at Benefit's flagship store in Greenbelt 5. I'm just not sure if you can buy the set or if it's a Sephora exclusive.